Using a travel neck pillow can help minimize discomfort when sleeping or resting in an airplane, train, car or boat for an extended duration. However, there are many more applications for these ingenious comfortable devices. Best of all, these products are simple to use, cost effective and convenient for their ease of transport anytime and anywhere. Neck pillows come in all shapes and sizes, but those for travel are more limited by their need for portability. Necessity has created some clever styles that lend themselves perfectly to virtually every traveler’s needs, as well as fulfilling a host of other functions in daily life. This interesting article explores the use and effectiveness of neck travel pillows. We will provide some guidance for consumers who are interested in these pillows, but are not sure which is optimal for their needs. Neck pillows support the head so that a traveler can rest in comfort during long trips where normal bed reclining is not possible. In most scenarios, the traveler will sleep sitting upright, possibly with the benefit of a wall to lean against on one side if they are fortunate enough to have a window seat. The idea behind the use of travel neck pillows is to prevent stress from accumulating in the neck muscles which would have to support the head when sleeping. Additionally, since supporting the head is a task that uses effort, some travelers find it virtually impossible to fall asleep without adequate head support. Therefore, the pillow serves to facilitate sleep and prevent minor strain common to sleeping with an unsupported neck and head. Almost any pillow can accomplish this task, but not all pillows are easily portable. Therefore, travel pillows must provide the creature comforts sought after, with the additional benefit of being small, light and easily packed in a carry on or handbag. 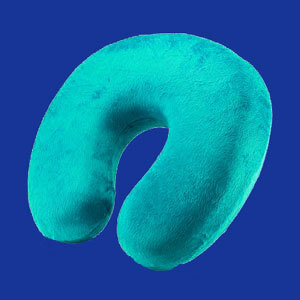 Horseshoe travel pillows, also called U-shaped pillows, are the most common form of travel head cushion. These devices wrap around the back of the neck and provide rear and side support for the head while leaving the front of the throat open for ease of breathing, talking and eating. When you think of a travel pillow, this style is probably the one which comes to mind for most people. Hoodie travel pillows are a newer variation of the horseshoe shaped pillow with a built-in hoodie for light reduction, noise reduction and privacy. While these might be gimmicky, they are actually very functional. High backed travel pillows also follow the horseshoe shape, but come up very high in the back, in several styles in order to better support the head and prevent the neck from moving an inordinate amount when asleep. The downside is that they tend to rub on the back of the head and really make a mess of your hair. Roll travel pillows are tubular shaped cushions that can be easily bent into any shape for customized support. Rigid wrap pillows, also called boned travel pillows, are basically flat pieces of padded material with interior skeletons that are designed to support the head. These styles are the most portable and least bulky, but tend to cost more, as well. Bandolier travel pillows wrap across the shoulder to the opposite hip and provide a single side for the head to rest against. Of course, if you move in your sleep often, this style is bound to disappoint and lead to an unsupported neck on the opposite side. Small rectangular travel pillows are just like normal pillows, but smaller and lighter in design. Inflatable travel pillows can come in many of the styles detailed above and are particularly great due to their low weight and small size when deflated. However, most inflatables are not as comfortable as traditional filled pillows, but can be much firmer for travelers who prefer real solid support. They are great when working in an office setting. Hours of sitting and typing can wear on the neck and having a comfortable support is one great way to reduce forward head posture and associated strain. Travel pillows are great when watching a movie, concert, sporting activity or any spectator event. 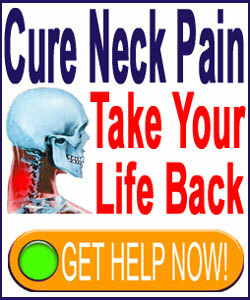 They work great to provide a relaxed seated posture for the head and neck. Travel pillows can be used in between the knees, or to bolster the height of a flat pillow when sleeping in a hotel with limited pillows. Travel pillows provide great support for people with acute neck pain, injury or neuromuscular disease. However, extended use of these devices in this capacity can degrade the condition of muscles, inciting muscular atrophy. U-shaped pillows make perfect coccyx or hemorrhoid cushions, as well as providing normal seat cushions for hard surfaces anywhere. In summary, travel neck pillows are cheap, easily purchased and very effectual for providing a more relaxed sleeping or resting experience on the go. No traveler or neck pain sufferer should be without one!